I often think about years past. About how they begin one way and end in another. You can’t really predict what will happen, nor can you assume to know where you will be 12 months down the line. Sometimes life throws you a curveball, change occurs within a short period of time, and you have to deal with the course correction. As I’ve gotten older and more experienced, dealing with the course correction has become easier. However, the pain that comes with it is a force to be reckoned with. You say to yourself “I got this” and keep pushing forward. Unless you crap your pants as an adult…you’ll stop pushing and you won’t get over it. I haven’t. I’ve written about constants before and when you go through a period of change those constants have a way of coming back around; even if you’ve put them aside. Friends forgive and accept, water under the bridge. It is possible to fully commit to an undertaking and still lose. That is not weakness, that is life. You just have to keep on going. 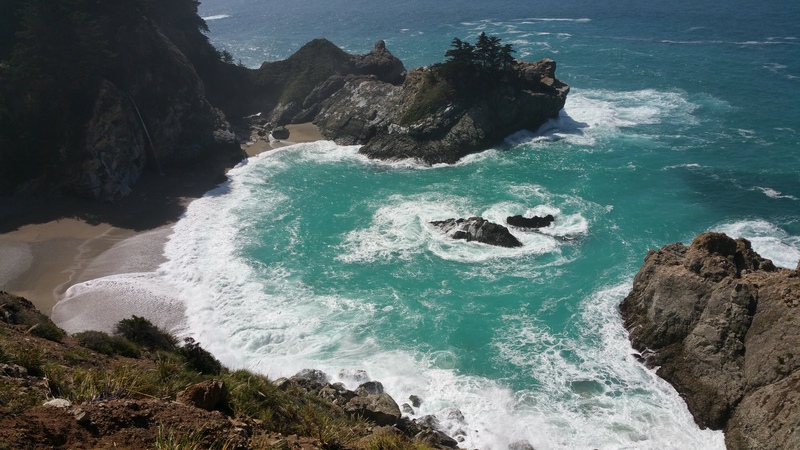 My bit of heaven…Big Sur. What are you going to do? New blog post coming in a few days.